Going by the name of Sly5thAve, Sylvester Uzoma Onyejiaka is a multi-instrumentalist, arranger and producer who lives, works and creates in Brooklyn. Also a member of funk project Igbo, Ghost Note, Strawberry Jam and Quantic’s live band, Sly’s latest project sees him paying tribute to Dr. Dre. Due in mid November, The Invisible Man is a record consisting of 23 orchestral arrangements of Dr. Dre’s major hop-hop tracks where, applying his deep understanding of soul and jazz, Sly’s selections explores his new and old favourites. 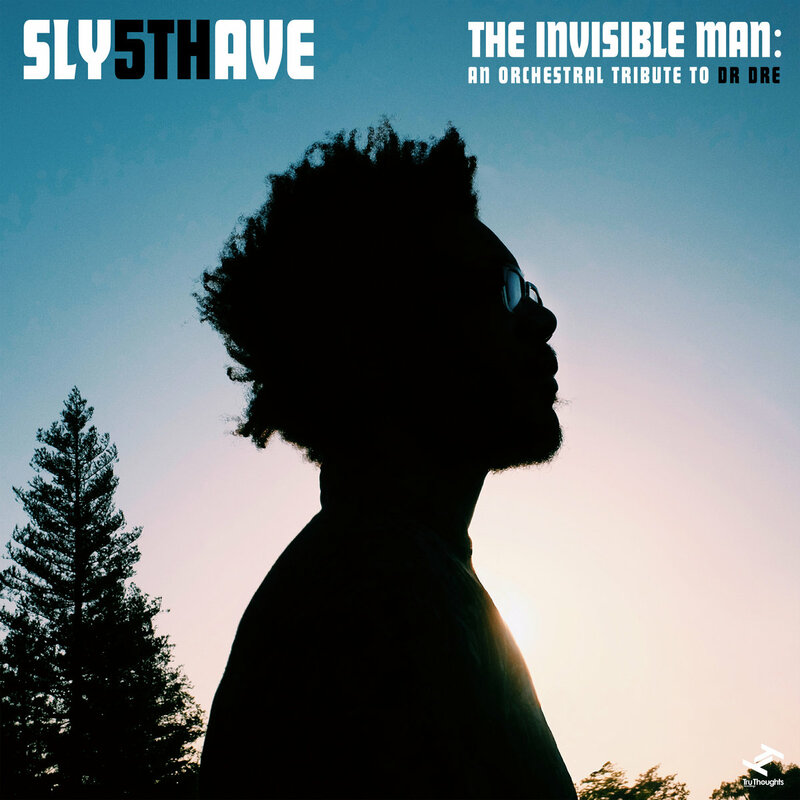 This recording is the result of a concert assembled by Sly5thAve, Eric Coleman (Mochilla) and Kentyah Fraser who brought in Playing For Change, the non-profit music charity which was dedicated to building a music school in Compton. Taking place at the Wilshire Ebell Theatre, some of L.A.’s finest musicians performed at the “Cali-Love” show which was attended by Dr. Dre–who took to the stage to congratulate Sly5thAve’s arrangements. This entry was posted in Instrumental, Jazz, jazz hip hop, new york and tagged brass, Dr. Dre, Fusion, hip hop, Instrumental, Jazz, new york. Bookmark the permalink.